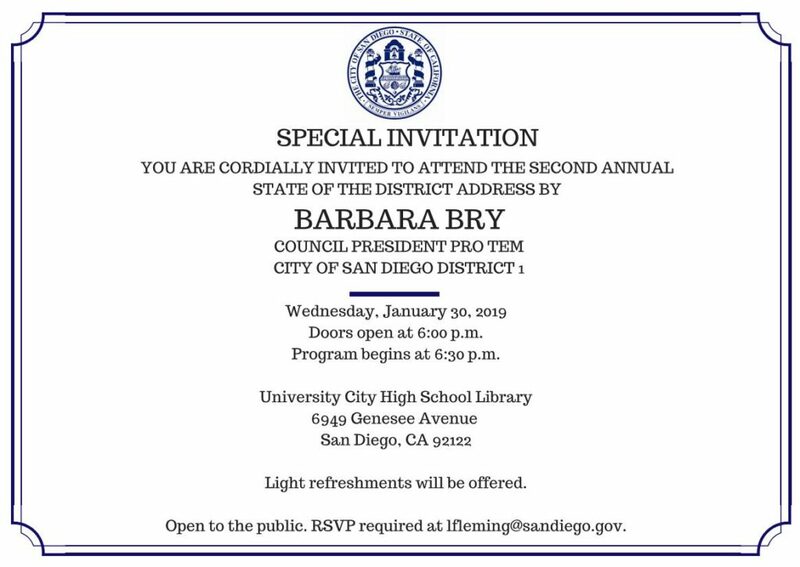 You are cordially invited to the second annual State of District Address (City Council District 1) on Wednesday, January 30, 2019, at University City High School. 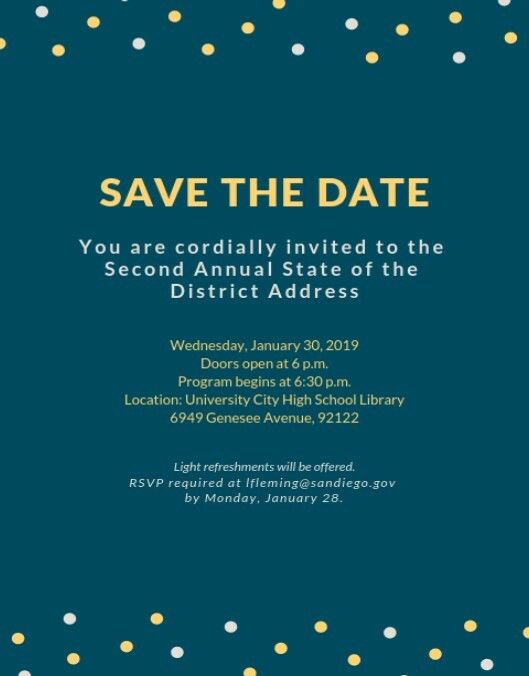 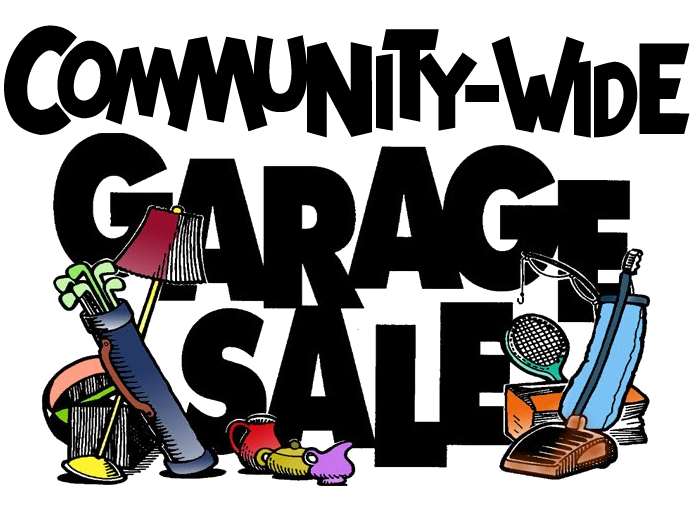 Meet and network with District 1 neighbors and friends from 6 PM; program begins at 6:30 PM; light refreshments will be offered. Date and Time: Wednesday, January 30, 2019; Doors open at 6:00 PM; Program begins at 6:30 PM. 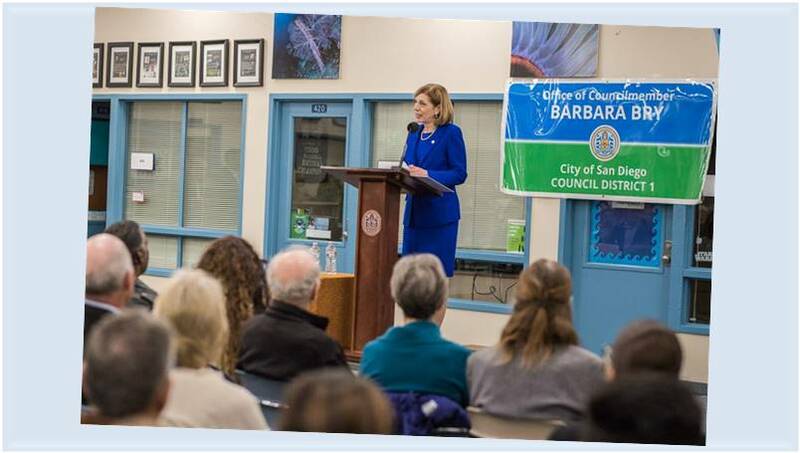 Photo taken at 2018 address at University City High School.